The Megan Bed head is a classically stylish choice for the bedroom. Featuring elegant channel tufting with smooth rounded edges, Megan is synonymous with comfort and style. 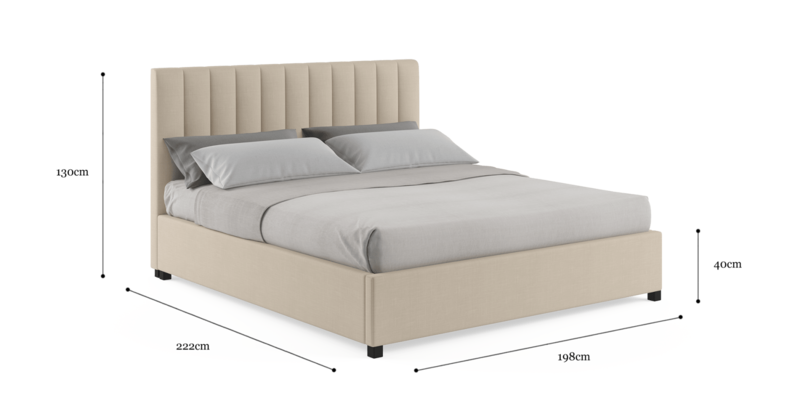 The Megan Gas Lift Bed Frame allows you to create a beautiful look for your bedroom and a practical space as well. The easy to use gas lift function reveals a spacious storage area, allowing you to utilise all the space in the room. Upholstered bed heads add another layer of comfort in the bedroom. The soft supportive cushioning creates a perfect spot to rest your head for late night reading or those lazy Sunday mornings in bed. And it is gentle on your wall finishes. 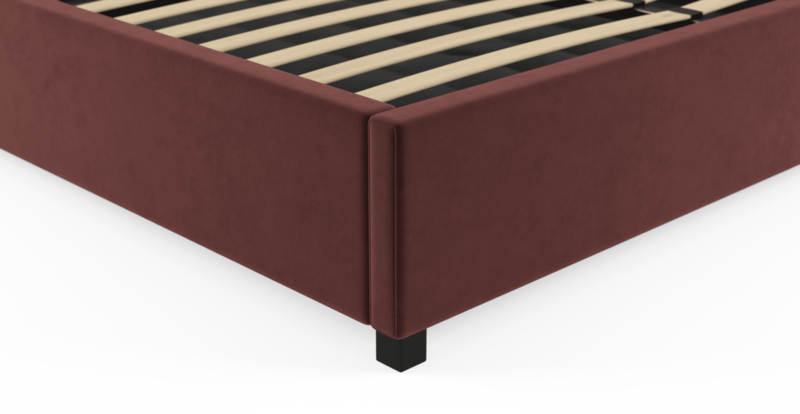 I have recommended to my parents who have already bought their bed from you and my friends also want to purchase them. The beds are easy to assesble, look amazing and worth much more then I paid and the gas lift is my fave part!! 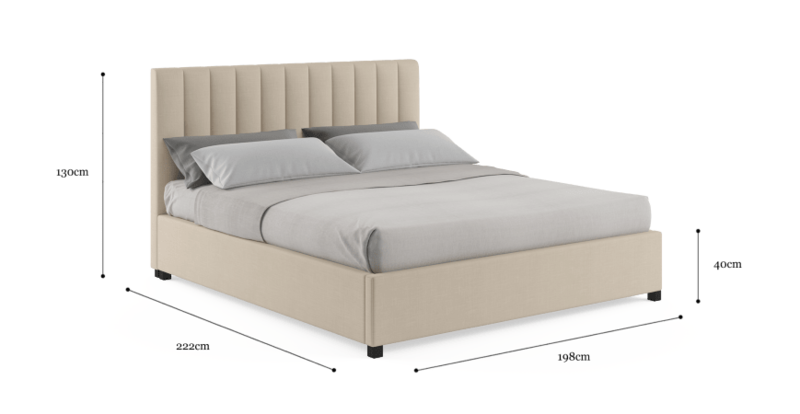 See, touch and feel our fabrics used on our Megan King Gaslift Bed Frame. For Free! Simply select up to 3 fabrics and add them to your cart. Delivery is on us.